The plucky Texan singer blends crisp country licks with a witty live-and-let-live philosophy! 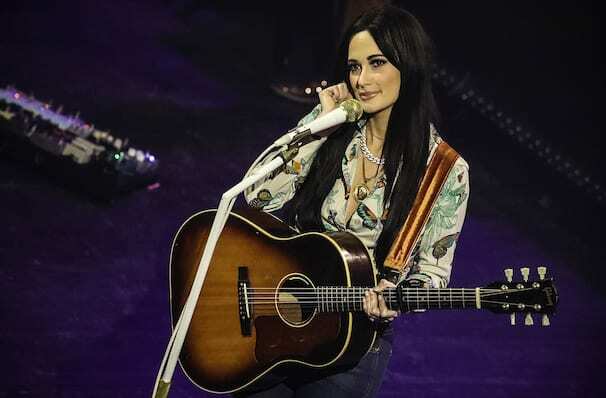 Hailed as the 'Rebel Queen of Nashville', two-time Grammy winner Kacey Musgraves is shaking up the contemporary country scene by taking a more old-school approach to things, leaving the fist-pumping, vacuous party anthems of bro-country in her dust! Catch the songstress as she heads out on her 2019 tour to support her latest record! It's back to basics with Kacey, yet this is exactly the kind of sensibility western music was built on. She's a singer-songwriter at heart, imbuing her music with an honesty and subtlety while also exploring hard-hitting themes and subject matter. From drug-usage to religion, Musgraves leaves no emotional stone unturned, ruffling a few feathers on the way. The future of country is in good hands! Sound good to you? 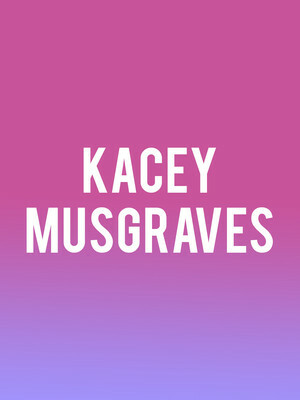 Share this page on social media and let your friends know about Kacey Musgraves at Comerica Theatre. Please note: The term Comerica Theatre and/or Kacey Musgraves as well as all associated graphics, logos, and/or other trademarks, tradenames or copyrights are the property of the Comerica Theatre and/or Kacey Musgraves and are used herein for factual descriptive purposes only. We are in no way associated with or authorized by the Comerica Theatre and/or Kacey Musgraves and neither that entity nor any of its affiliates have licensed or endorsed us to sell tickets, goods and or services in conjunction with their events.